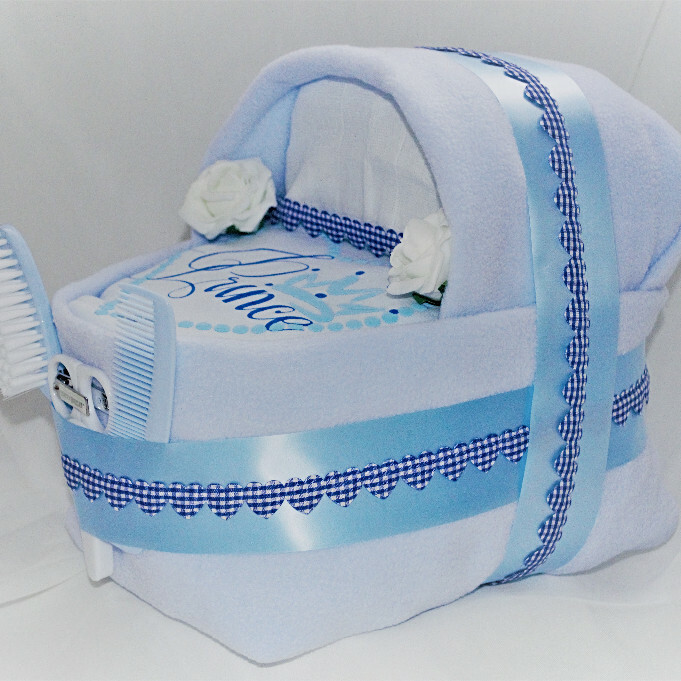 Something a little different, a nappy cake in the shape of a crib! 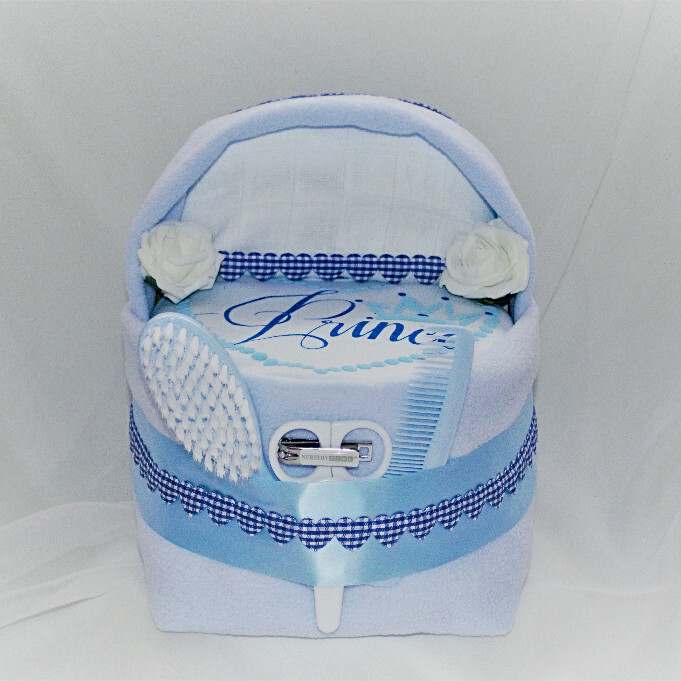 Perfect for a baby shower or as a gift for new parents. 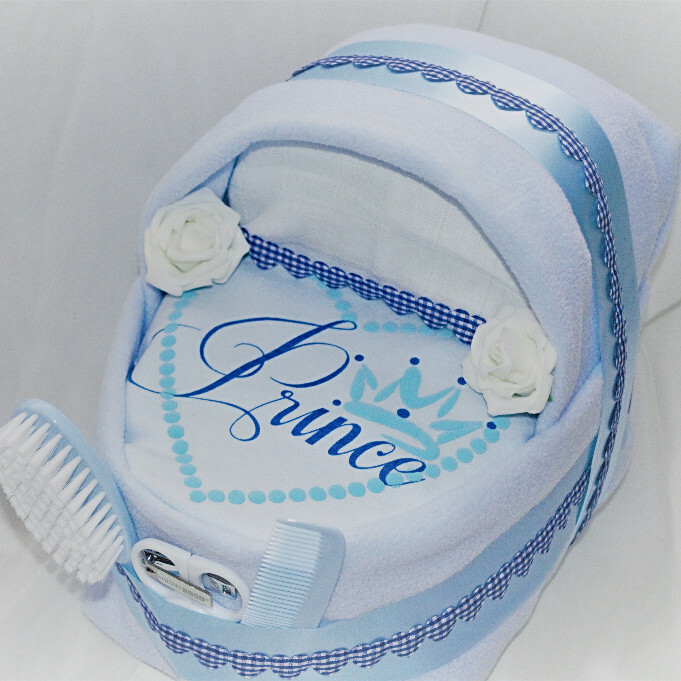 Full of useful and practical items, this nappy cake is sure to impress.